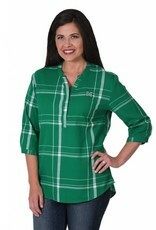 The top selling Marshall Thundering Herd Plaid Tunic is back and we're loving the ¾ sleeve and two-color plaid! 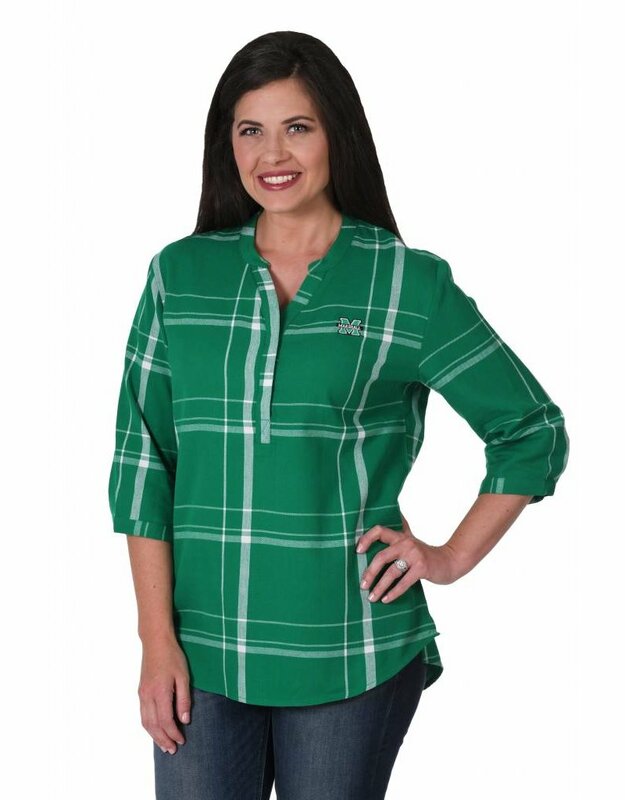 This tunic is made out of our super soft cotton flannel and features a relaxed fit. It features side slits and a rounded bottom. The top has a split neck with hidden button at placket, and the ¾ sleeve has a tiny banded cuff. You know this brand, and we think you'll love this piece also!